Disney and Pixar have announced an interesting change to their 2013 movie line-up. This is from Jerry Beck over at Cartoon Brew: “Disney has decided to chase after Dreamworks’ Turbo next summer with its new “Cars-inspired” movie: Planes. Disney has just announced it will release this film theatrically on August 9th, 2013. 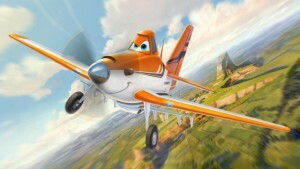 Originally designed to go direct-to-DVD, Planes will now play in theaters all over the U.S. Jon Cryer is voicing the lead plane, “Dusty”; Klay Hall (Tinker Bell and the Lost Treasure), an aviator himself, is directing.” In the same article Cartoon Brew also re-posted the original trailer for Planes, in case you missed it before. 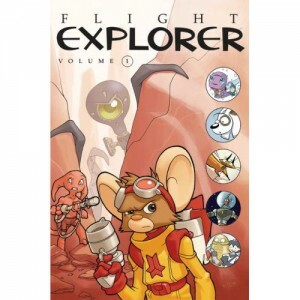 The popular Flight comic book anthology series now has a companion, Flight Explorer, coming this March from Villard Press. Like its big brother, this new full-color collection is edited by Kazu Kibuishi, and features stories loosely based around a theme of flight. Explorer is designed to help young readers get into the swing of reading for themselves — while at the same time entertaining older readers who might be helping them through it. As you can see from the cover, this first volume features several anthropomorphic characters, some of whom have been covered in InFurNation before. The stories include Kean Soo’s Jellaby, Johane Matte’s Egyptian cat, and Jake Parker’s Missile Mouse, among others. Flight Explorer Volume 1 is available for ordering on Amazon, with a special discount offer for libraries.